It's doubtful these wooden shelves will survive when iOS 7 is released. For all we’ve heard about iOS 7 in the lead up to next week’s iPhone event, one Apple avenue has been eerily silent: iBooks and the iBooks Store (née iBookstore). If nothing else, the app is ripe for a design change in line with the rest of iOS 7, and the WWDC preview of OS X Mavericks’s iBooks for Mac would seem to suggest as much—a demo of the Mac app given by Apple senior vice president Craig Federighi showed nary a wooden shelf or animated page turn in sight. But that alone won’t be enough to give iBooks its time in the spotlight next Tuesday. 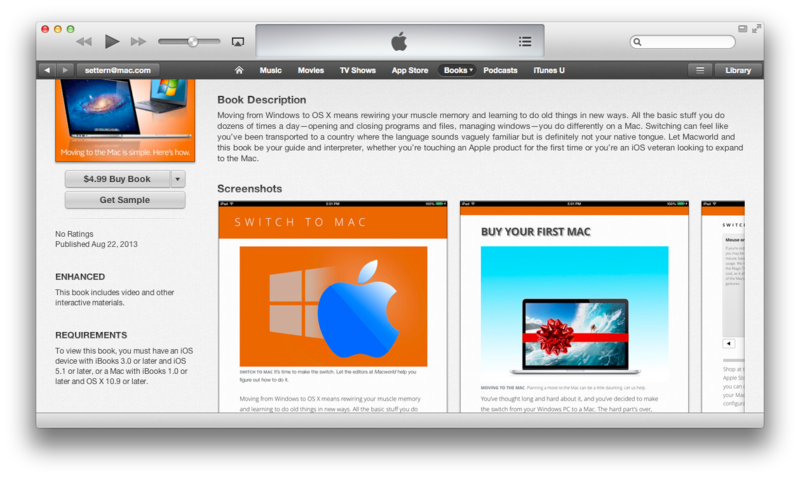 Instead, I suspect we’ll see something a little more significant: support for iBooks Author ebooks on the iPhone. When the company’s free iBooks Author tool and its proprietary format were first released in 2012, Apple had a legitimate reason to exclude the iPhone. The app was designed first and foremost for textbooks, with an eye to boosting iPad adoption in classrooms; thus it featured landscape-only templates with interactive elements and fixed-size text—hardly features that were friendly to devices with smaller screens. But times have changed. iBooks Author ebooks have expanded far beyond textbooks, and they can now be read on the iPad mini and even support portrait layouts. And when it launches this fall, OS X Mavericks will let you read iBooks Author ebooks on the Mac, leaving the iPhone—arguably Apple’s flagship product—as the sole device (besides the Apple TV) that’s unable to read Apple’s proprietary ebook format. (You can’t view or purchase iBooks Author-only books on the iPhone, either—you must instead buy them on the Mac or iPad.) Even if the company expects fewer readers to view iBooks Author ebooks on its smartphone, it seems strange to leave such a gaping hole in comaptibility. But perhaps the time for Apple to address that oversight is nigh. While this message still shows up on the Web, visit an iBooks Author book in the iTunes Store and you’ll see the following: “To view this book, you must have an iOS device with iBooks 3.0 or later and iOS 5.1 or later, or a Mac with iBooks 1.0 or later and OS X 10.9 or later.” A request for comment from Apple regarding the wording change went unanswered on Wednesday, and as of this writing, the iPhone still can’t download iBooks Author ebooks despite the text’s claims to the contrary. In iTunes, the restrictions text for iBooks Author ebooks has been updated to include OS X Mavericks -- and it leaves out any mention of the iPad, too. 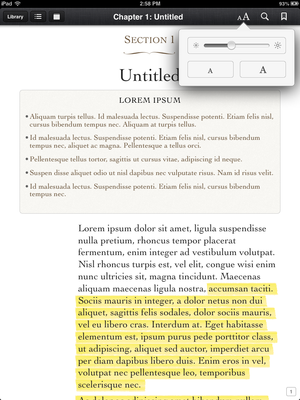 iBooks Author's portrait mode could hypothetically support an iPhone screen. And from a strategic standpoint, with Amazon’s Kindle platform offering new features like proprietary footnote pop-overs to publishers, Apple would be wise to bring books from its already-excellent ebooks design program to the rest of its device line-up. Building an iBooks Author-exclusive ebook is a lot more enticing if you’re marketing it to the entire iOS and OS X ecosystem, rather than just users of individual devices. Of course, no one can predict exactly what Apple might do next week. But I’m holding out hope that we’ll see iBooks Author support for the iPhone very, very soon.